Although the concept is almost the same, motorcycle tyres are designed for speed and performance, while still providing good safety and handling features. The Avon Trailrider Tyres are an awesome example as they can help provide a more stable riding experience, which helps acceleration and reduces your chances of falling at the same time. Although the same sounds like an off-roading model, the Trailrider is a road tyre that features a super-rich silica compound, as well as other features that add comfort, stability, and may even increase fuel efficiency. 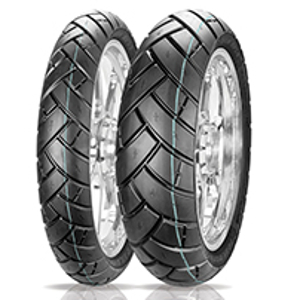 You can find the best deals for the Avon Trailrider Tyres starting at just under £30 for each tyre or browse through our huge selection of motorcycle wheel covers by visiting Tirendo.ie.